just to explain a few things. whenever I use the terms: Rapid Transformational Therapy, RTT, Upgrading the child, Left Hand, Right Hand. It’s not me, Healing Vortex, Rapid Transformational Hypno therapy, Rapid Transformational Coaching, Command Cell Therapy, The Rules of The Mind, The Rules of the Child’s Mind, 3 ways the mind works, 3 Things wrong with you, Role, Function Purpose and Intention. Merging The Child, Becoming the loving Parent, dialogue with the hurter, installing your cheer leader, Tagging, Looping thoughts, Your unmet needs, I am enough. 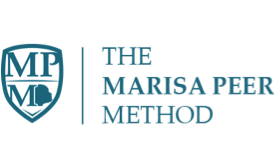 I am fully acknowledging that these are all the intellectual property of Marisa Peer and any use of terms such as I, My, or mine acknowledge these as Marisa’s methods.